Every year, the amount of data that’s created, collected, and analyzed increases exponentially. Companies deploy more and more tracking technologies on their websites in the form of tags. Without a tool like ObservePoint to govern these tags, the collected data can become overwhelming and, in some cases, harmful to your business. If you’re wondering exactly how harmful, here’s a 2016 Harvard Business Review article in which IBM estimates the yearly cost of poor data quality to be $3.1 trillion — in the US alone. And if you’re looking for something more current, this 2018 Gartner article, which shares findings from a Data Quality Market Survey, may stun you. Without a tool like ObservePoint to govern these tags, the collected data can become overwhelming and, in some cases, harmful to your business. Click & Tweet! So, why take the risk when you can implement something like automated ObservePoint’s automated tag governance solution? Simply put, tag governance is a process that routinely monitors, maintains, and verifies the integrity of your tagging implementation so that data quality standards are upheld across an organization. Often times, this is performed via automated systems. Tag governance should be a top priority for any company, since its main goal is to provide accountability for an organization’s data. 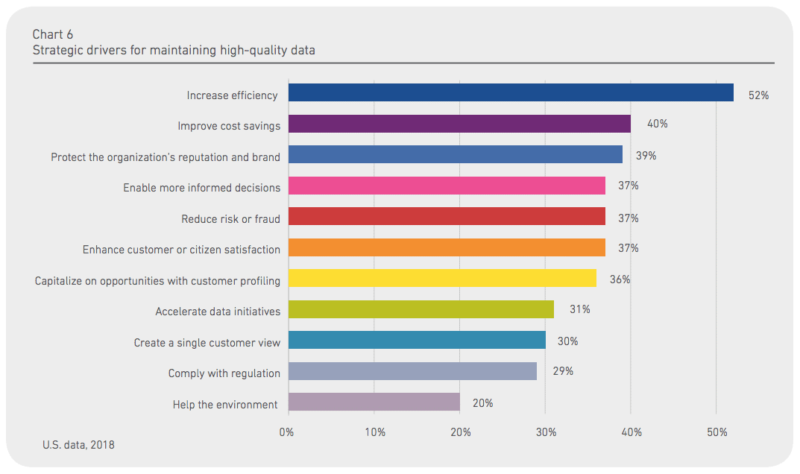 According to Experian’s 2018 Global Data Management Benchmark Report, the following shows the top strategic drivers for maintaining high-quality data. However, ensuring quality data, especially if you’re collecting large amounts of data from multiple tags, can be a tough task to govern. It’s even more difficult without having the proper tools in place. Imagine this: You have hundreds of tags across your site that span multiple pages, funnels, subdomains, etc. Companies could easily spend hundreds of thousands of dollars on the resources required to maintain this type of work. However, I’ve found that an automated process saves time, resources, and money. That’s where ObservePoint’s tag governance solution comes in. We’ve worked closely with Blast for several years, and are always pleased with their leadership in the analytics space. They recognize the importance of not just deploying tags for data collection, but maintaining them over time for accurate insights. Working together with partners like them, we’re confident that client companies will be able to achieve superior decision-making power through better data. In this post, I’ll dive into the top features that ObservePoint’s solution has to offer (Web Audits, Web Journeys, and App Journeys) and explain how it adds value to the data quality monitoring process. I once had a task to manually crawl through a tag management system to find and remove all instances of a third-party tag. There were hundreds of tags, with not much of a reliable filtering solution. This was such a cumbersome task that it pulled me away from high-value work for more than a week. Of course, I occasionally missed things, overlooked tags, and even accidentally broke a few of the working tags by removing them. Needless to say, manually digging through hundreds of tags, cross-referencing code, and making adjustments isn’t an ideal use of my time. With this type of manual tag debugging, you can see how vulnerable your organization is to human error. If you’re looking to enhance the integrity of your tagging architecture and the quality of your data, a reliable and automated tool is a must. 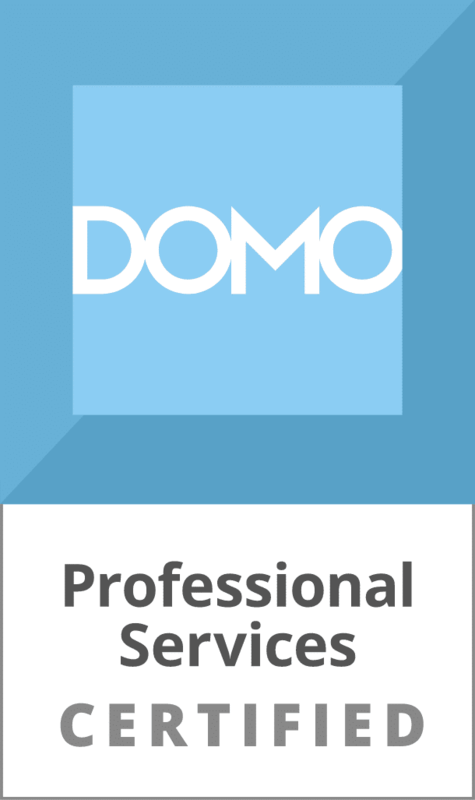 Here’s how ObservePoint’s has helped me maintain standards with data audits and user journeys for my clients. One of the most powerful features of ObservePoint’s solution, WebAssurance, is its web audits. 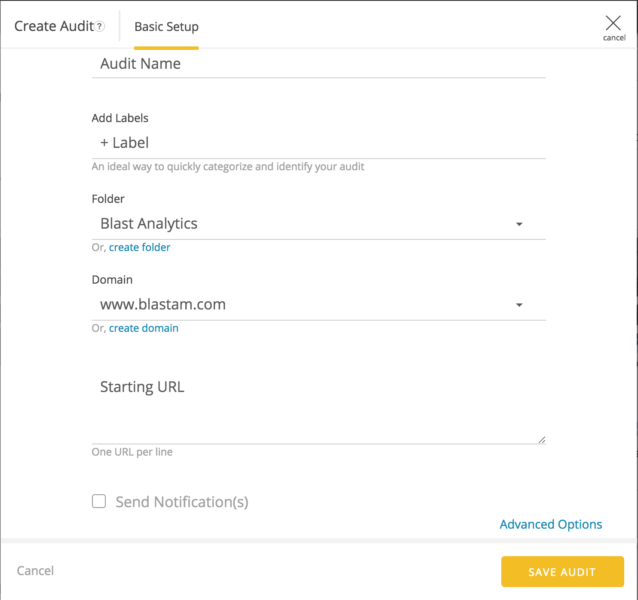 With this feature you can validate your website data collection to determine which tags are on your site and whether they’re firing correctly. 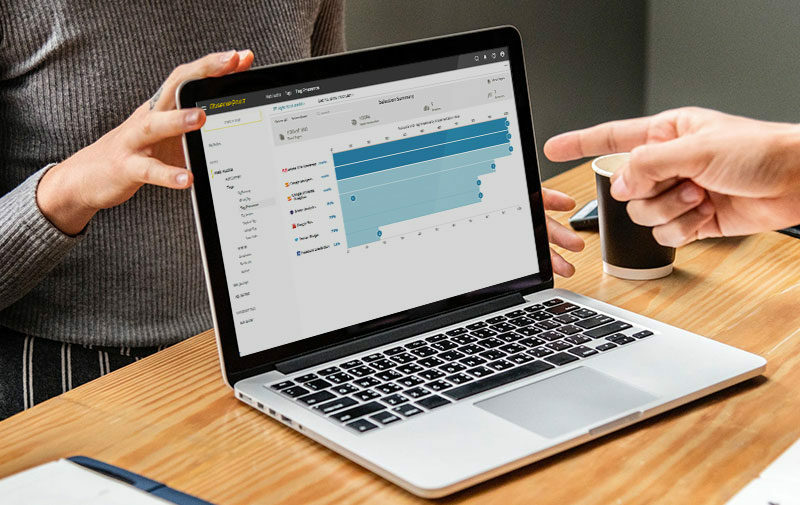 By setting up an audit to crawl pages on your web site, ObservePoint compiles the analytics captured on each page into consumable reports of your implementation architecture. The compiled data can then be used to ensure that each page has tags collecting data as expected and help you discover where data risks lie. This type of validation process has traditionally been a tedious, manual process. When an audit is configured with custom rules, it becomes powerful and efficient. The power of ObservePoint’s web audit feature is that it has the ability to crawl thousands of pages. This feature alone has saved me tons of time and minimized the effect of human error. That’s the real power of ObservePoint. The power of ObservePoint’s web audit feature is that it has the ability to crawl thousands of pages. Click & Tweet! Remember the aforementioned example, where I was tasked with manually looking for all instances of a tag? As you can see in the report above, there’s a “Tag Presence” field that breaks down the presence of all the tags on your site. ObservePoint audits tags by actually visiting each page in a browser instead of simply scanning the code. This allows ObservePoint to imitate the experience of a live user and surface issues that otherwise might not be found due to the complex interactions of the many technologies on the pages. Furthermore, there’s no code to install on the pages. ObservePoint servers access pages on your site in a browser window like a real user does. The ObservePoint audit runs inside the browser, monitoring all the tag requests passing data to their collection servers as the pages load. Audits are fairly easy to set up and automate by simply filling out a graphical user interface (GUI) with information such as Audit Name, Domain Name, URL, etc. See figure below. 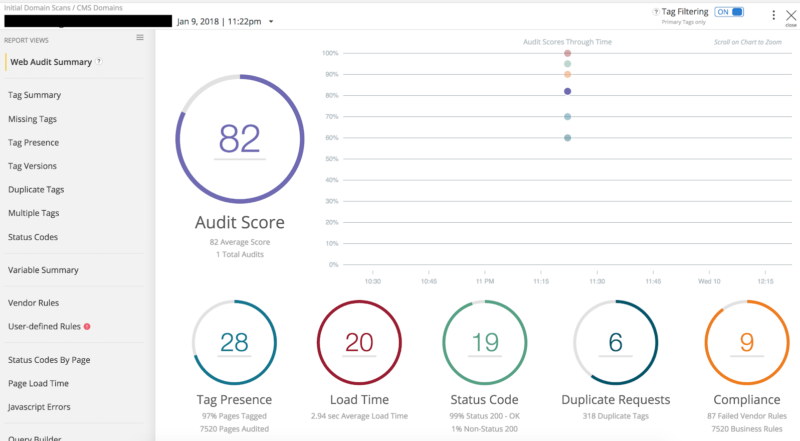 Web audits can easily fit into your workflow since it’s not reliant on any tags already being set up. You can liken the audits to a bot that crawls the web. This bot will run routinely and report back to you with the status of your analytics, whether it exists or not. Note: The bot won’t trigger hits, visits, pageviews, etc. in your analytics platform. Therefore, it won’t throw off your data by recording these bot activities. Different from the web audit feature, ObservePoint’s web journeys have the ability to simulate a visitor actually using your website. The act of simulating a visit is called a Web Journey. How Do Web Journeys Work? Say you have an important funnel on your website that you want to monitor. This is typically a checkout process, application, or any conversion path. Have you ever been exhausted with filling out the same form over and over again to test analytics triggers? Well, I have. Not only is it tedious, but toggling between filling out a form and viewing web inspectors to make sure the tags are working properly leaves a lot of room for inconsistency and error. Imagine doing that task every day. This is a great example of how manually governing tags can cost a company countless time, resources, and money. With a Web Journey you can imitate the clicking of buttons and links, navigating to other pages, filling out forms, watching videos, and performing other typical site visitor activities. Utilizing a regularly scheduled Web Journey is very powerful because it will notify you when the journey is unable to complete an activity or isn’t capturing the expected tags. This feature is critical to your tag monitoring plan. A Web Journey in ObservePoint is usually run at the end of your analytics implementation process. Once you have tags properly implemented on your funnel, you can set the journey to routinely check that funnel for your tags and the details that are tracked along with them. No more filling out forms every day! Although the Web Journey is a bit more complex to set up compared to the audit, once you’ve got it up and running, it’s invaluable. 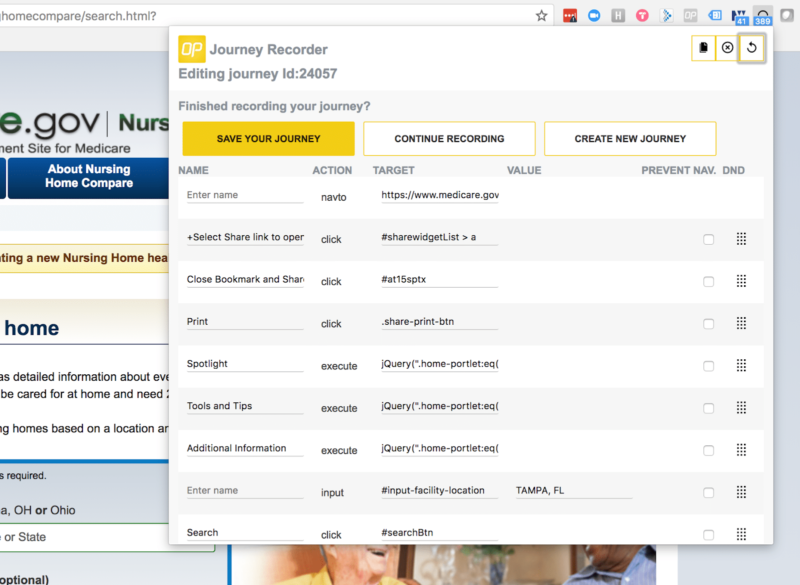 ObservePoint takes it a step further to make Web Journey setup easy by coupling it with their Web Journey Recorder. The recorder is a Google Chrome browser extension that serves as an alternative way of creating and customizing Web Journeys. 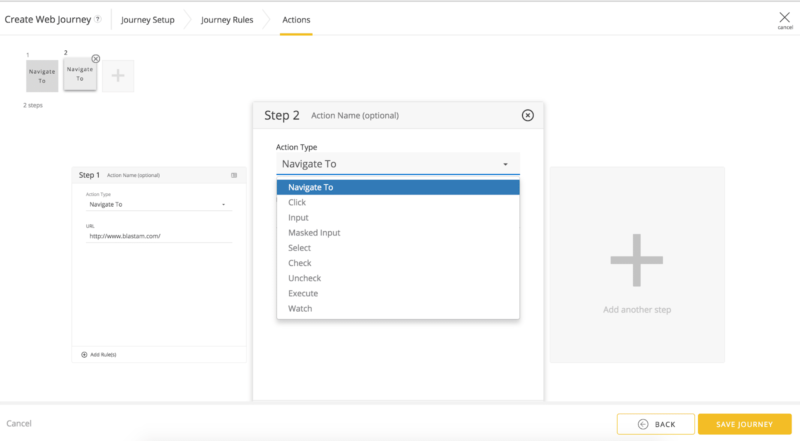 It allows you to visually create an automated test journey by capturing the ObservePoint user’s actions directly in the browser. Furthermore, after creating and saving a Web Journey, you can edit it later, adding and modifying rules, etc. This greatly improves the ability of a user with little coding experience to create a Web Journey, allowing the tool to be both user-friendly and robust. Additionally, ObservePoint’s AppAssurance solution also delivers journey testing on mobile with App Journeys. There has never really been a good way to govern analytics on mobile apps, which usually occurs during the development phase but then isn’t regularly revisited. In most cases, you’ll need to work closely with your development team to set up and test analytics in your mobile apps. It’s even more difficult to figure out how to regularly test and audit your mobile app analytics implementation. Getting all of the credentials, tools, and resources together is tough, therefore, a lot of times it simply doesn’t happen. With the rise of mobile, many organizations are missing out on this valuable piece of their data collection strategy. However, ObservePoint allows you to run journeys on mobile apps that have been securely uploaded into the ObservePoint servers. You can upload an app and interact with it just as if you were interacting with it through a device. This functionality allows you to test critical action paths, funnels, or external data calls in your mobile app. Tag governance is essential to the success of your organization. ObservePoint provides accountability for your data and will save you time, money, and resources. Organizations without effective tag governance systems run the risk of losing time-sensitive data, violating data privacy regulations, and making bad decisions based on bad data. These are all expensive repercussions for an organization, so why run the risk? With the use of ObservePoint and an effective governance strategy, I’ve discovered a robust tool that allows me to effectively maintain data quality. I’d love to hear about your experience with ObservePoint, if you’ve had a chance to use it, or any other data quality assurance solutions you’re currently using. On the leading edge of advanced and cognitive analytics, Chris specializes in evaluating, developing, and implementing analytics solutions for operations, risk, compliance, and financial reporting across multiple sectors and industries. Chris Hewlett has written 1 posts on the Web Analytics Blog.